The car audio system is useless if you don’t have a quality subwoofer. The main idea between subwoofers is to gain deep bass that will affect the overall experience of sound. However, the question still lies ahead: which one is appropriate for you? We can always start by giving you specific and direct tips. Instead of that, we want to show you thorough presentation of competition subwoofers, that will provide you with the possibility to understand different brands so that you can make a quality purchase. With each brand, we analysed one specific subwoofer so that you can understand in a direct example what you will get. However, this review will be mostly focused on brands, with each product being only an example. So read this review attentively and select the best one. As you can see from everything that we have stated above, different brands require different aesthetical presentation. The main idea of the model is to get convenient subwoofer so that will fit in your vehicle without using too much space. On the other hand, design can also determine the quality of sound and frequency range. Each brand has its custom and unique way of creating the perfect subwoofer that will represent them to the public and market. Therefore, we can say that most of them try to use unique and better materials. In most cases, subwoofers include Paper cone, but we have seen that Orion uses nitrile-butadiene rubber surround, which is the unusual material used only by them. When it comes to sound, the idea is to get the best bass ever. However, as tastes change from individual to individual, the bass sound differs from subwoofer to subwoofer. For example, Pioneer bass sound is punchy, but when you turn the volume to max, it gets distorted. On the other hand, Earthquake Sound and Kicker have accurate and deep bass sound. This is the feature that stays the same for most subwoofers on the market. Of course, there are some slight changes, but most subwoofers have to function between an accurate range so that you can enjoy in deep low frequencies. The first thing that people think when they hear about subwoofers is the heavy bass sound. 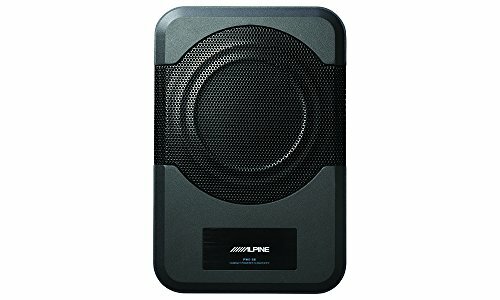 Even though it stands by the fact that subwoofer is essential for the overall bass sounds, it is more to it than just having a speaker that will shake your windows. Low-frequency is an integral part of each music and increases the realism that you will feel while listening. Apart from the size of the subwoofer, the kind of enclosure will also make an impact on overall sound. The enclosure is the box that contains the subwoofer. In case that you want the deep bass then you should choose sealed enclosure. 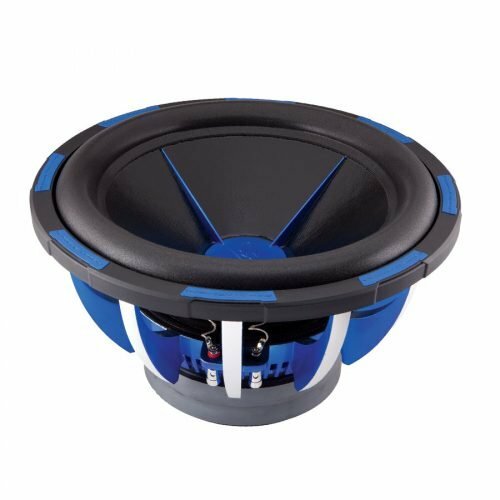 For accurate and tight bass, you should select open enclosure subwoofer. A ported cabinet will provide you louder bass than first two, which is excellent for people who care only about loudness and less about accuracy. You should always check the RMS value, ohms, frequency range and SPL. The power handling measures in RMS, so the more it has the better bass you will have. However, for subwoofers with high RMS, you should have an appropriate amplifier or a head unit that will exceed the capability of the sub. Sensitivity is SPL, and it means the amount of power it needs to produce the volume you want. The higher sensitivity, the better solution is for your vehicle. If you want to get the most from your subwoofer, then you have to match the impedance of subwoofer amp. This particular figure measures in ohm, and it means electrical resistance in the subwoofer. It is the straightforward and logical conclusion, so when you match everything will go as planned. JBL is one of the most popular USA based audio manufacturers. It started back in 1946, and since then it has become one of the best selling brands on the market. Their HQ is in California, and they mostly make loudspeakers and subwoofers for vehicles. By choosing this particular brand, you will get high-quality products for a few extra bucks. As you may know, it is more expensive than other brands, but you will still get latest technology competition subwoofers. The first thing that is important to mention is that you will get the modern and innovative design. All of them include high-quality materials and construction that will last for years. They are also crucial because you will be able to enjoy the sound in your vehicle without losing quality. The combination of dedication and tradition is something that makes JBL one of the most popular brands in the world of car subwoofers. The sound quality of JBL speakers is impressive. In most cases, you will get the excellent frequency range, where lows are bombastic. The midranges and highs are also vast, but the bass is something that will change your perspective on music in overall. We have seen a wide variety of JBL subwoofers used for more than vehicles. Our recent post on studio subwoofers includes a really powerful JBL subwoofer. Therefore, we can say that JBL speakers are a great solution if you want to choose a detailed, natural and clear sound for a few extra bucks. The history of Kicker started when Steve Irby wanted to create a mobile stereo market in Oklahoma in 1973. Since then he developed the concept of car audio system, which was the first high-quality sound system specially made for trucks and cars. From the very start, Kicker dedicated their existence to building high quality speakers and subwoofers that conquered the whole world. 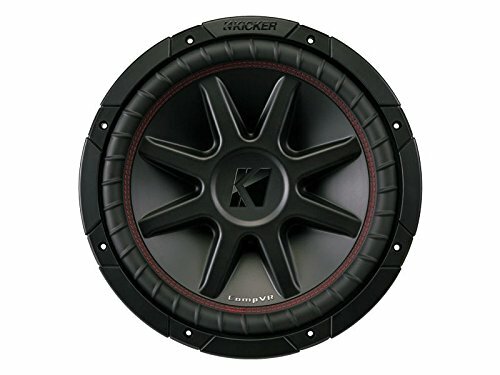 Kicker develops subwoofers, speakers, amplifiers and other audio vehicle parts so that you can enjoy a wide range of sound in your car. We all know them for exceptional audio performance that became synonym for the excellent sound system. The best thing about Kicker is the design that is circular which will increase the stability. You can also choose square subwoofers, and they will deliver 20% more surface than circular ones. There are numerous options that you can choose so that you can enjoy the perfect sound you need. There are high-power handling solutions as well as exceptional thermal management and multiple-wiring options available, and you will be able to purchase them at an affordable price. The sound of the bass is clear and thick so that you can feel the punch in the chest. 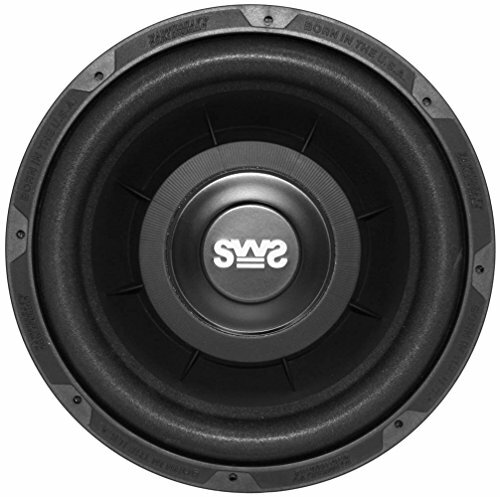 It is an excellent solution when we compare it with other competition subwoofers. Pioneer is one of the most popular car stereo and subwoofer brands on the market. 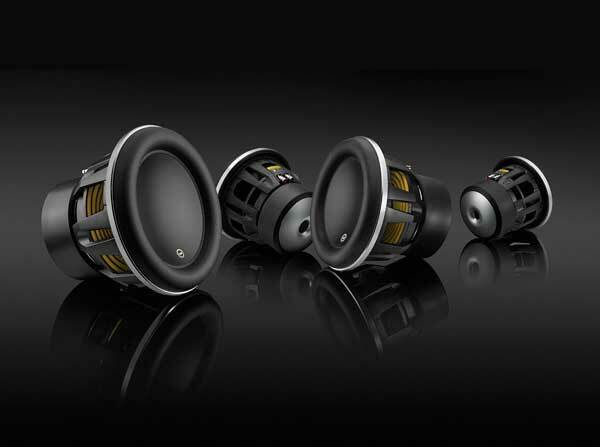 We have all heard or used their speakers, and when it comes to car audio components, they are no exception. 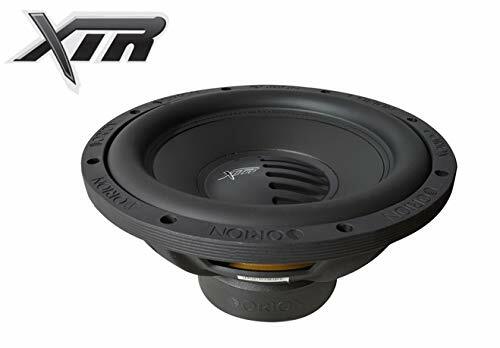 However, sometimes it happens that they just miss the quality of some series, but still, it is the most successful brand in the world of competition subwoofers. You can find them at an affordable price, and most of them are within budget-friendly price tag. Most of them are under $50, and you can get decent set and subwoofer for that amount. Of course, car stereos are more expensive, and you can find subwoofers for fewer. The sound quality is also promising and decent. Many people from all over the world use Pioneer car speakers, and according to them, they paid itself off. The most useful feature is a multiple-way design that will provide you balanced sound and wide frequency range. We don’t recommend you to turn the speakers to highest volume because sound can become a little cranky. The specific subwoofer according to Pioneer implements a new way of engineering the spider assembly to allow the subwoofer to produce more accurate and rich bass. Subwoofers look reasonably tremendous and use the high-quality and sensitive material so that you can enjoy in the broader frequency range. You just have to purchase quality stereo and EQ, and that will provide you better experience and comfort during the drive. Power Acoustik Electronic is one of the youngest car stereo and subwoofer manufacturers on the market. Since the very beginning, 27 years ago, they started to make high quality and well-received speakers and subwoofers. Their popularity rose to prominence throughout years due to their reliable speakers and immersive customer satisfaction. They created a good reputation for producing amplifiers and car audio products. For example, Power Acoustik Mofo subwoofer is the best choice for you if you want to consider this particular brand. It has everything you want in the car: deep and punchy bass in combination with well-balanced mids and highs. For example Power Acoustik MOFO-124X was included in our review post about the best 12 inch subwoofer. You will get 12-inch woofer with pending heat-sink. It is an excellent solution since you will get the immersive sound that will attack the whole vehicle. The maximum amount of power can reach up to 2700 watts. On the other hand, the maximum RMS power is 1350 watts. The sound contains dual 2 ohms so that you can enjoy the full frequency range. The materials are high quality such as UV coated foam surround and Cloth Paper Composite that will protect it for years of using. Overall, the Power Acoustik brand is an excellent and affordable choice that will increase the toughness of bass in your car. It has an extraordinary amount of power, so you will need appropriate speakers to set it on and enjoy. In the world of car audio sector, there are only a few brands that stood the test of time and prevailed everything along the way. The main problem is that today we have lots of lousy brands that would sell us any piece of junk at an affordable price. Therefore, we only begin to trust inexpensive models, and for them, we need lots of money. 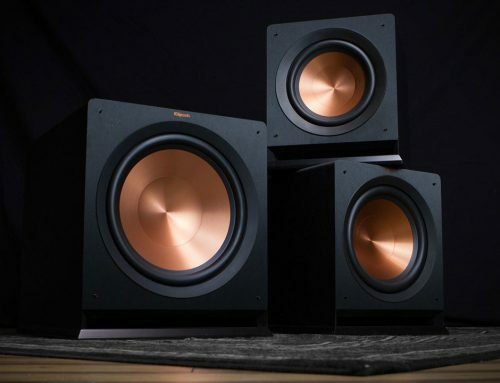 Earthquake Sound competition subwoofers are clear and compelling, and the mandatory component of any home audio system. That is why you should always consider choosing the appropriate one. The idea is to gain deep, booming bass and low frequencies because the regular car speakers don’t have this particular option. Earthquake Sound is the synonym for the high-quality audio products. It all started three decades ago, and since then they developed a colossal array of products that include home, car and gaming audio products. 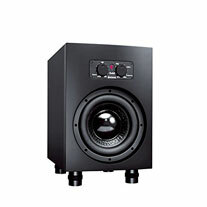 Earthquake Sound SWX-12X subwoofer is the perfect solution that will reduce all your problems. It has a low profile so that you can mount it anywhere without losing too much space. With inverted style cone design, you just have to place it in a shallow place and enjoy. The speaker can reach 4-Ohm impedance, which is responsible for high-frequency range and strong attack of low frequencies. 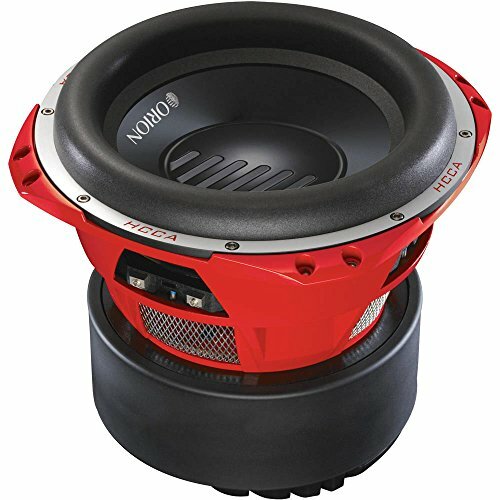 Overall, Earthquake Sound subwoofers should be your choice if you want high-quality speakers that will improve the car sound system. Since the very beginning, Orion started to create high-quality and high-performance subwoofers that changed the game in the world of car audio systems. It became an integral part of each quality audio equipment, and people from all over the world started using it. 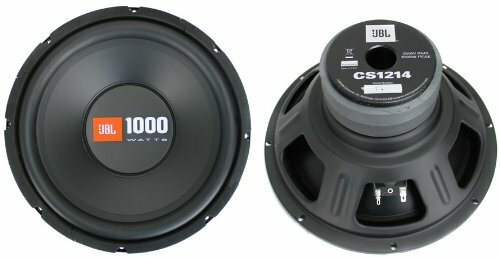 We, at BassDelight, have already made a review to spot the best orion subwoofer in another post. People remember the story when kids around neighborhoods went out to show who has the loudest and fiercest car audio system. Orion was the winner and motivated people to improve the sound in their vehicles. Orion is the manufacturer that has HQ in Miami, and they have competitive prices when compared with other brands. At the same time, you will get higher efficiency and quality with extreme popularity among audiophiles around the world. Orion XTR124D is the best solution when it comes to competition subwoofers. It has excellent power handling peak that can reach up to 1200 watts, and of course, RMS can reach up to 600 watts. The materials are most common among Orion subwoofers such as Paper cone with a nitrile-butadiene rubber surround that will increase the longevity. It has a double cooling system that will provide you better tones for an extensive amount of time. Overall, Orion subwoofers are a great solution if you want the affordable subwoofers that have a decent amount of power. Most of them have high-quality material that will affect its lifespan. Finally, you will get a sound system that will stand the test of time. We have presented you the top 6 competition subwoofers of 2018 in a review and buying guide. The idea was to show you which brand is the best when it comes to value, price, sound quality, etc. Those conclusions are not here for the statement, but to show you what kind of brands are out there so that you can purchase the one based on your preferences. 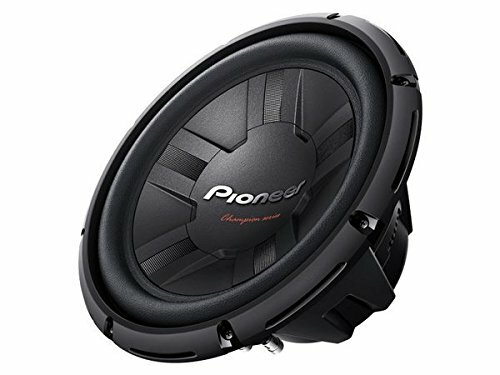 Best Value – When it comes to best price, we have to say that Pioneer subwoofers are the most affordable solution on the market. Of course, there are different types of them, so you have to be careful, but the one that we have presented you is a decent solution that will fix all your problems. Best Sound – JBL subwoofer is the winner in the section of sound quality. It is a multiple-award winning manufacturer that created something unique and special. 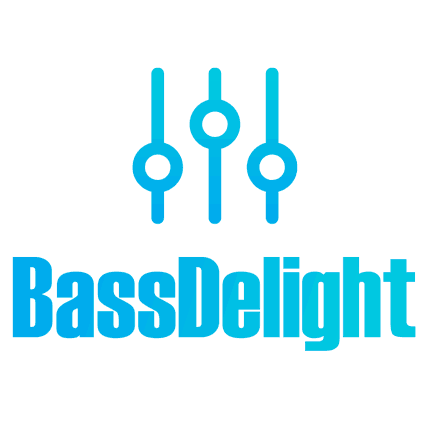 You will get the excellent combination of great bass in combination with decent trebles and mids. This review is only for you. If you are contented with this review, just share it to your associates and comment us. Your comment is very crucial for us.